PRIVILEGE ONE is a Loading... luxury yacht, currently being built by Privilege Yard and to be delivered in 2021. Her top speed is 23.0kn and her power comes from three 6000.0hp ABB diesel electric engines. She can accommodate up to 28 people with 39 crew members. 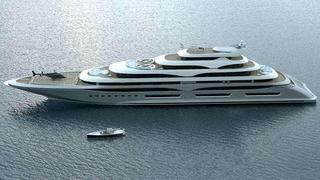 She was designed by Laraki Yacht Design.